Pol. 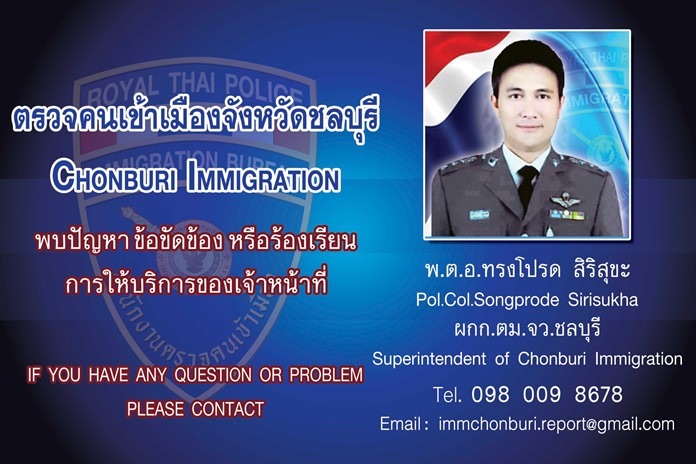 Col. Songprode Sirisukha is the new Chonburi Immigration chief. 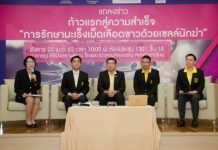 PATTAYA – The newly appointed head of the Chonburi Immigration Office said anyone applying for long-term visas would be thoroughly investigated. Pol. Col. Songprode Siri­sukha was introduced as the new Pattaya area immigration chief June 27. Pol. 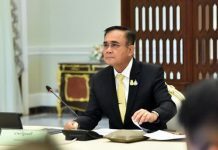 Maj. Satawat Srirattanapong was named deputy in the annual reshuffle.